When you donate to the PTSA Annual Fund, you directly support the many programs, academies, clubs, field trips, productions, sports teams, learning opportunities –– and much more –– that make Tech such an inspiring community for our 2,000 students to grow and thrive. Here’s a taste of where your contributions go. We greatly appreciate donations of any amount at any time of year. Automatic monthly donations, in particular, are a crucial component of the Annual Fund, and provide a steady source of funds that our school and students depend on. All donations are tax-deductible (ID #94-6174624). A PayPal account is not required. Click either option below. Sign up for easy, automatic monthly contributions. You may be able to double, or even triple, your donation to the PTSA. Contact your Human Resources Dept. to find out if your company will match your gift. Or check out this long list of Bay Area companies that have matching donation programs. It’s easy to make a positive difference simply by shopping. Sign up for the various programs below and be sure to designate Oakland Technical High School PTSA as the recipient of your funds! 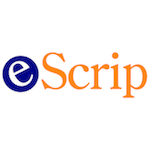 Sign up for eScrip here. eScrip is an easy way to automatically earn money for Tech programs while you shop online or shop locally, dine out or book travel, at thousands of merchants who give back, including nordstrom.com (6%), apple.com (1.8%), Macys.com (4.8%), Amazon (1.2%), and priceline.com (3.6%). Safely and securely register your most-used debit and credit cards and store loyalty cards. Sign up for Amazon Smile and click this link every time you shop. Amazon donates 0.5% of the price of your eligible purchase to the PTSA. Tech’s PTSA Sports Booster Club has partnered with Sports Basement to raise money for Oakland Tech every time you make a purchase there. Plus you’ll get 10% off of each purchase you make. If you haven’t been to Sports Basement yet, it’s near the Berkeley Bowl in the old Berkeley IceLand ice skating rink building and has a cornucopia of sports equipment of all kinds. Just tell them you want to support Oakland Tech, sign up for the Basementeer program, and voila! Program is free for our school families to sign up, and can be done in-store or online right here. You may contribute directly to a handful of projects and funds designated for a specific purpose. In these instances, please write your check to Oakland Technical High School PTSA and specify in the memo line where the money is to go. Mail your donation to Oakland Technical High School PTSA, 4351 Broadway, Oakland, CA 94611. The Auditorium Fund builds on the dramatic improvements made to Tech’s auditorium over the past decade. The final phase of the project is focused on improving the facility’s interior and enhancing its exterior to make this community gem easier to find. Learn more about the Auditorium Project. If you have questions or would like to help in any way, please contact auditorium@oaklandtech.com. The Stephen Brown Fund is named in honor of a beloved PTSA Board member who passed away in 2014. The Fund provides scholarships to Tech senior girls pursuing a STEM field in college.